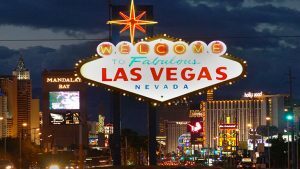 Insight Research will host a store safari to New York City and New Jersey ahead of this year’s NACS Show in Las Vegas. Convenience store operators worldwide are finding that changing consumer behaviours and habits are driving more channels to compete for the same set of occasions and to stay in the game, the convenience store sector needs to deliver against new consumer missions in unique and differentiated ways. As our group will find on our visits, New York City is home to some of the world’s most exciting and successful fast casual food concepts in the highly innovative US Foodservice Market. Insight’s New York and New Jersey briefing and store safari is designed to assist convenience store operators in moving up the value chain to reach a broader audience. Thanks to new US Foodservice operator and consumer research contributed by GlobalData, attendees will also learn who the top 10 fastest growing US fast casual operators are by $ sales, outlet numbers and actual/anticipated growth. We will also explain how their strategies have differentiated them and, interestingly, how these winners are winning based upon leveraging 10 key consumer perceptions about the US Foodservice Market today. Each attendee will get a GlobalData road-map of “Top 10” facts supporting the rise of Fast Casual in the USA. This year’s store safari will focus on the brands delivering this experience most successfully and also investigate the role technology is playing. What does all this mean for the convenience sector? And what are fuel station foodvenience operators like Wawa doing to keep pace with these opportunities in New Jersey? 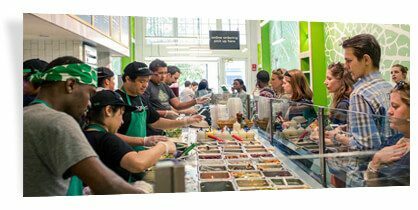 Today’s leading fast casual operators are leveraging a superior understanding of consumer motivations and creating an elevated experience as they look to steal share from traditional QSR and FSR operators. 59% of American Foodservice consumers GlobalData surveyed* indicate they are typically more adventurous when eating out of the home, so it’s clearly not just Millennials who are demanding this experience. Nearly half of US consumers are concerned about eating too much processed food*. They like to see the food being made. Food that delights, makes you feel good, but is affordable, healthy, fresh and good tasting. 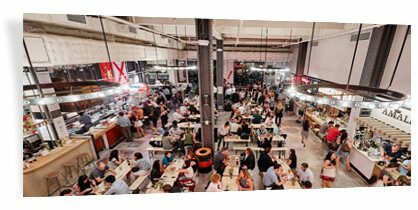 New generation food halls, run by entrepreneurs and celebrity chefs are seen as the next step in FSR evolution. Consumers massively reward well defined, focused fast casual foodservice concepts committed to the use of fresh, ethical, local and high quality ingredients by becoming loyal and active followers across social media platforms. Insight will brief, Joe Bona, President of Bona Design Lab will provide the expert local insider’s perspective. Our hosts RedBull will provide us with their own considerable insights into consumer behaviours. Then Michael Sherlock, Vice President Chief Food and Beverage Officer at Wawa will give his perspective on what is most relevant for convenience customers. *Data sources: Thanks to GlobalData Foodservice 2018 and GlobalData Proprietary Consumer Foodservice Study, USA 2018. Places are limited, please contact us to reserve a place for you and your team. If you are interested in attending our NY and NJ store safari and would like more information please contact us. Registration for the NACS Show needs to be made with NACS directly. The NACS Show is the convenience and fuel retailing industry’s premier event, attracting a global audience of more than 23,000 people from over 60 countries. Featuring the NACS International Hub, international speakers, over 50 workshop educational sessions and a huge EXPO. Speakers include Wawa, Sheetz, Rutter’s, QuickChek, Bona Design Lab, KwikTrip, QuikTrip, Circle K, Kum & Go, Thornton’s Coca Cola, Cumberland Farms, Parker’s, Maverik, FreshStop South Africa and Thornton’s. “I just wanted to tell you about the great success of the (2016) Atlanta store visits event. Everyone enjoyed the whole programme very much and for them it was the high note of the NACSShow week”.